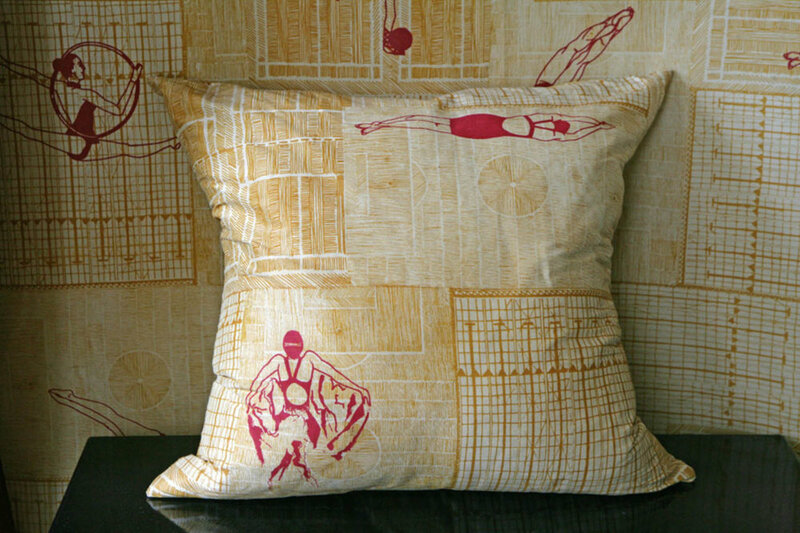 A collection of luxurious fabrics inspired by sport and architecture to celebrate the 2014 Commonwealth Games. The illustrative designs celebrate Glasgow’s rich architectural background and the city’s diverse range of sporting talent whilst the colours reflect those of the Glasgow Commonwealth Games emblem. The hand-drawn, geometric structures inspired by city buildings contrast with the graceful poises of the depicted athletes. The patterns were printed onto a combination of silk, velvet and linen fabrics for upholstery, cushions and wall hangings.